Here's how to change your Support PIN, which identifies you as the owner of your account. If you need to call Support we'll ask you to verify your Support PIN. 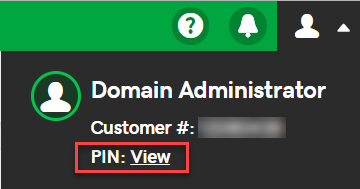 Next to PIN, click View. 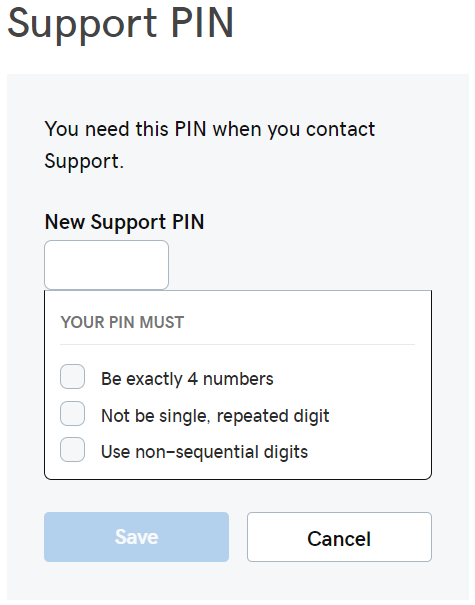 Your Current PIN appears in the Support PIN section. In the Support PIN section, click Edit. Enter a New Support PIN, and then click Save. Your new PIN must meet the conditions shown. As long as you know your current password, you can change that password any time. If you seem to be locked out of your account, you may need to contact Support.